The Pakistani player Haris Tahir recorded with second highest break of the tournament. He scored 142 in the third frame of his match against Sybren Sokolowski of Belgium. This was an unplanned break as he had a bad start with one frame lose and another win on struggling black, hence he had only option to go for scoring, which he did. After getting a perfect opening he went with the flow and first potted three pinks followed by 10 black then two more pink to culminate his break with 142 points. Though after that he lost another frame and enter in the decider and finally made a match winning break of nearly 35 points to win 3-2. This is his third consecutive win in the group Q and he finished as group No.1. 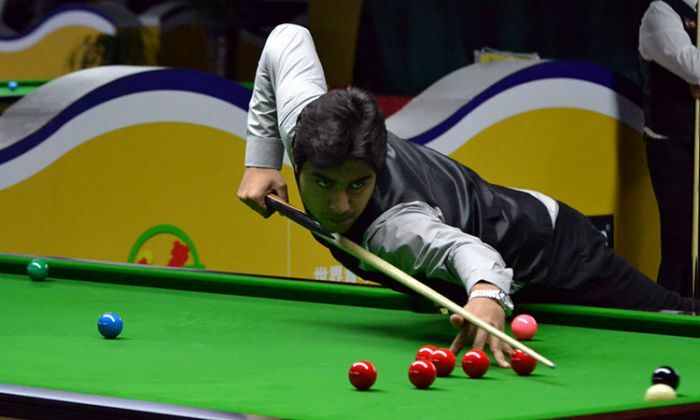 Egyptian player Abdelrehman Shahin didn’t start well but took control over the game from second frame onwards and recorded two breaks of 78 and 97 to secure 3-1 win over Iranian player Shervin Omidvar. On adjacent table, his compatriot Mahmoud Elhareedy played a classy game and won against Yun Fung Tam of Hong Kong. Elhareedy scored two breaks of 63 and 69 to settle the score 3-0.